-Admin needs to stop being lazy and make a project .-. 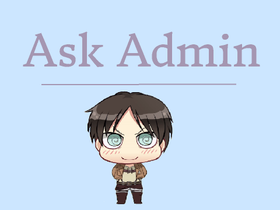 The Shingeki No Kyojin RP (Attack on Titan) HEADCANON! LEVI AS A TITAN! MY HEADCANON XD!